Teacher Bits and Bobs: Frights and Delights Halloween Centers and Plinko-palooza! Frights and Delights Halloween Centers and Plinko-palooza! Happy Saturday friends! Lindsay here . . .
Well last night I had "Girls Night Out" with some of the friends in my mommy group (and by girls night out I mean dinner, Starbucks and chit-chat . . . that's about as wild as we get these days) and I am TIRED!! Even though I probably could have hit the sack by 8 p.m. last night, it was nice to have some girl time to discuss all things important and girly: mother-in-laws, c-sections, shoes, breast feeding . . . you get the idea. Even though I was only out until 11 p.m. I am seriously considering an afternoon siesta today . . . 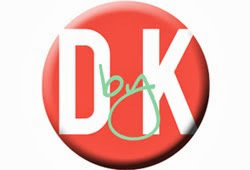 But that's not what I planned to blog about and tell you today . .. 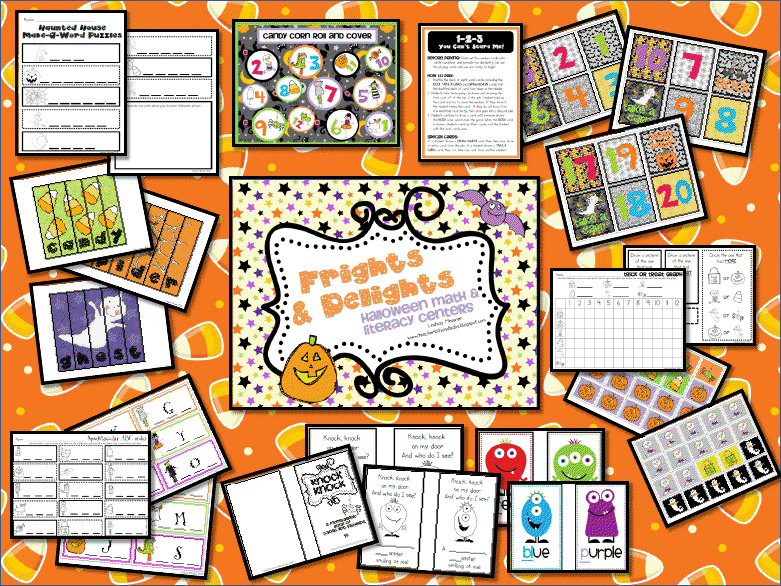 I am excited to share with you my brand new Frights and Delights Math and Literacy Centers! 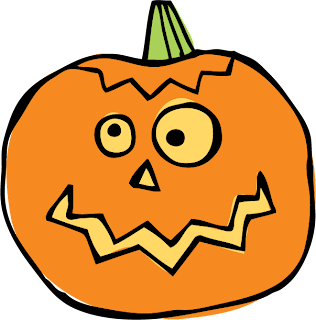 These spooktacular, hands-on Halloween math and literacy centers are sure to excite and engage your little learners! Included are 42 pages of colorful, ready-to-print activities that target a variety of math and language arts standards. The other thing I am excited to share with you all this morning is about a wonderful product from Lakeshore that I recently was given the opportunity to use in my classroom and review: Phonemic Awareness Plinko! First of all, I was thrilled when I was contacted by Lakeshore because . . . well, let's face it . . . I probably spend half of my salary there getting goodies for my kiddos. When I saw their new Plinko game as a choice of product I could try out with my kinder kidlets the decision was a no-brainer! Disclaimer: In order to understand how much I love this new Lakeshore product, you should also know that I used to be a bit of a Price Is Right fanatic in my day. You know . .. waaaaaaaaaay back in my carefree college days when I could never EVER afford a brand new car or a trip to China, you could find me on the couch in our dorm still playing along with good old Bob Barker trying to figure out the cost of items like . . . a brand new car and a trip to China. 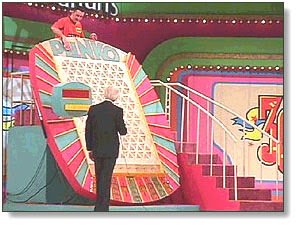 Okay - back to Phonemic Awareness Plinko. 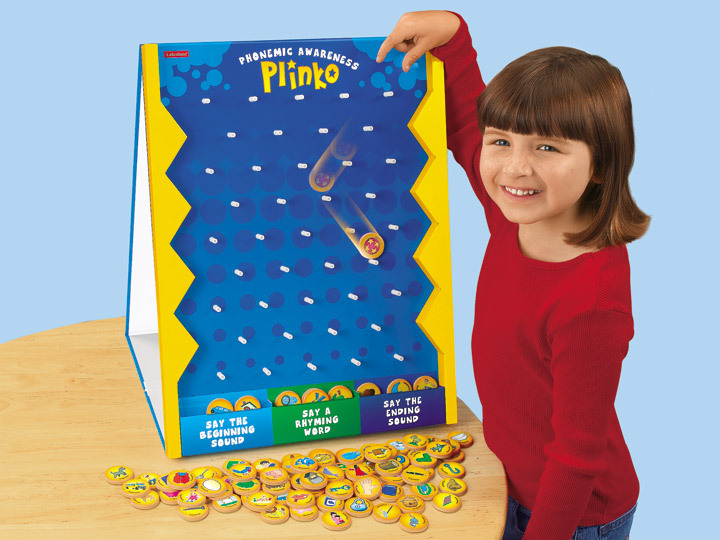 This activity comes with one freestanding game board and 90 illustrated Plinko chips featuring words such as lip, queen, spot, kick, etc. 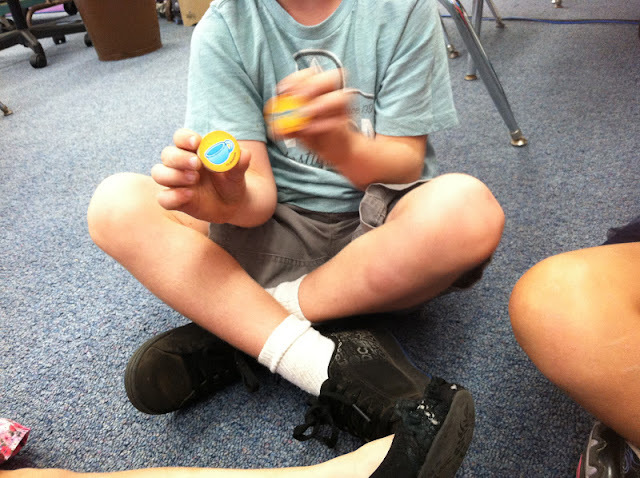 Students drop their Plinko chip from the top of the game board and watch it fall into one of three categories: beginning sound, rhyming, or ending sound. 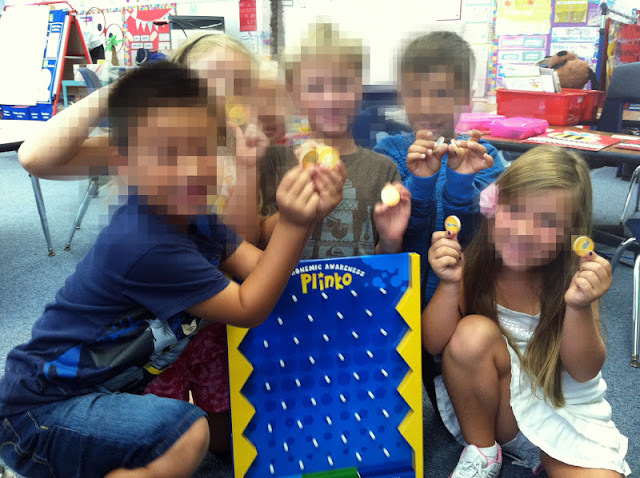 I decided to introduce my kinder kidlets to Plinko during our Literacy Centers. 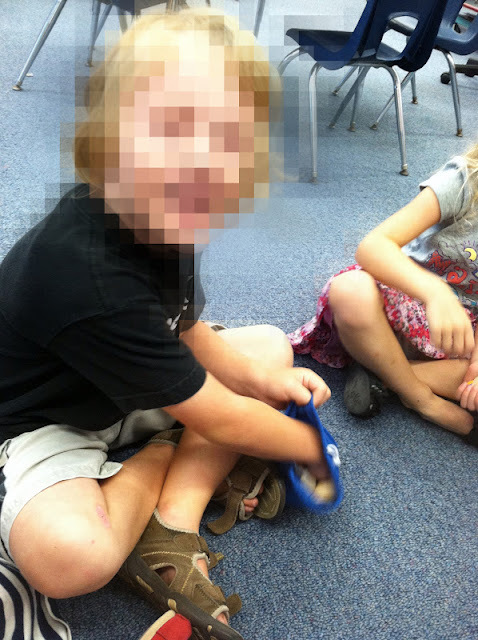 With a small group of 5 or 6 kiddos I explained to my students how to play. Now we have been working quite a bit already this year on the beginning sound of words, and had practiced some rhyming too, so those Plinko categories were more familiar to them. The ending sound, however, was a bit tricky for my students. 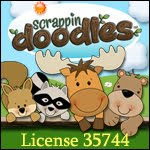 This game was a perfect way for me to begin working with my kidlets on segmenting!! The second time we used Plinko in our centers rotation, I told the students that they could try to answer the question without help, or if they wanted, we could "solve" it together! Most kids wanted to go for it on their own and did well, but this assurance was helpful for my kiddos who just still aren't segmenting or rhyming independently. The BEST moment of all came when one of my little guys answered one of his hard questions correctly and then said (in the teensiest of kinder voices) "I wish this moment would last forever..."
Swoon!!! I almost melted in the cuteness. 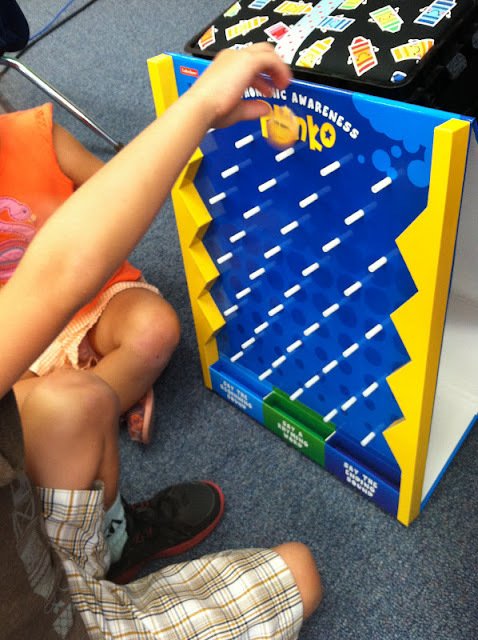 Bottom line: Phonemic Awareness Plinko is super easy to set up and use with your kiddos. You could introduce it whole group and then begin to use it in centers, or just grab yourself a set and use it next week with a small group. Its amazing how quickly your kiddos will start to improve their phonemic awareness as they continue to play, help their classmates, and get those competitive juices flowing!! And to make it even easier to pick up your very own classroom Phonemic Awareness Plinko, our friends at Lakeshore have offered a 25% savings code for you all!!! Score! 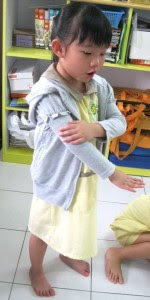 Visit lakeshorelearning.com/savenow . . . Happy shopping! It's time to announce the winners of our Education Insights Product Giveaway (drumroll please!!) . ..
Congrats to our winners! We will be contacting you soon with all the details!! Yahoo!! Well, that's it for now! Hope you all have a fabulous fall-ish weekend! I've heard a lot about those wonderful little Plinko's! Your new unit is super cute!